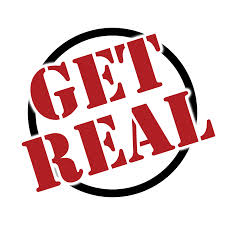 I’m inspired by a recent conversation with a friend about how we so desperately want to just get real. We crave getting real with each other and with God. There is such a stigma about admitting what we struggle with…. I was raised in the Seventh-day Adventist church. This was a blessing. But, I was missing a major ingredient to the Christian journey until my early 30s. I went through the motions and was taught to obey a certain set of rules that my brain was told to understand, but my heart was clueless as to why?? I’m thankful for the foundation that was set for me as a child and I don’t blame anyone for my misunderstanding. But, I am eternally grateful that God answered my cries for more as an adult. I had religion and wasn’t overly sold. Something was missing and my heart was aching for more. Turns out, I was missing the relationship part. Relationship is where it gets personal and real. Relationship changes everything. I visited other churches in hopes that I could find what I was missing. I was willing to change churches just to find it. Thankfully, through a Twelve Steps for Spiritual Healing class offered at our church, I found exactly what I was looking for. Women who struggled like me. A small group of women willing to get real about their issues. We had issues with the church, issues at home, issues at work, issues with ourselves, issues with God. Issues that needed somewhere to go. It was through this group of women, that God started His healing and I opened up to a whole new experience with Him. I believe He led me to this group. I also believe this is why I have a strong passion for women’s ministry now. As an adult with daughters of my own to raise, I still don’t understand some of the rules we were raised with. There are some I don’t follow anymore. I understand the importance of obedience. I understand the value in seeking the truth. I understand the gift of the Sabbath. But, I had never fully grasped the grace and unfailing love that Jesus has for me. It’s still hard to comprehend. I can only attempt to dish it out as quickly as He pours it in. There is POWER in the Holy Spirit. There is WISDOM in His word. And, there is unfailing LOVE in His sacrifice. Going to church strictly out of routine can turn into as much of a crutch as not going at all. I didn’t go for years. It felt like more rules to me….I was missing the love factor. The acceptance factor. The grace factor. The “why” factor. Feeling God’s presence in my life and getting to know Him personally has changed everything. Now, I crave going to church because I get to surround myself with people who struggle (like me) and are seeking (like me) and long to worship (like me). That is such a blessing! Last week I was sitting in my youngest daughter’s Sabbath School class and they were reciting their weekly memory verse. It was John 14:15 “If you love me, keep my commandments”. In high school, my head would have translated that verse as “oh no, another verse about following more rules that I don’t understand in order to be loved”. Now, I see how His commands are there BECAUSE He loves me and wants what’s best for me. I want my daughter to desire to obey Him because she is certain of His love for her, not because it’s the only way He will love her. Huge difference! Thank you, Jesus, for wanting us to get real with You! What a relief and joy it is….